It’s about time recyclers got the hero status they deserve. So when London Drugs needed to spread the word about recycling for Earth Day 2014, we decided to get social with a heroic campaign. 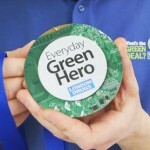 Everyday #GreenHeroes We Salute You! For shoppers not ‘lucky’ enough to get ambushed, we created an multi-pronged contest offering a $250 gift card, a Microsoft tablet and a 46″ Samsung TV. 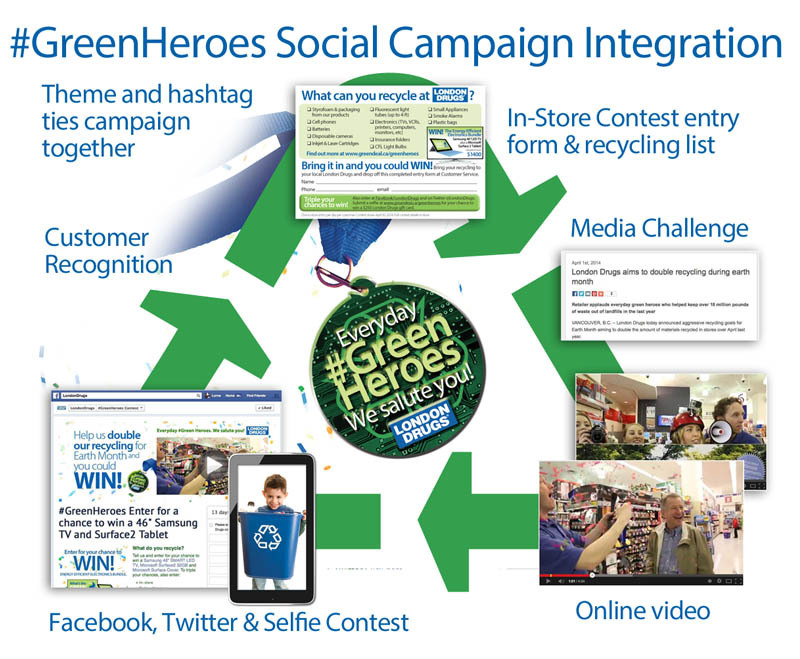 Customers can enter at the store (when they recycle), through Facebook or Twitter or by sending a ‘recycling selfie‘. This helps drive more contest entries and sharing from several vectors. Setting a PR Challenge for the media. Our target is to double the recycling London Drugs usually handles in April, and spread the word about all of the things shoppers can take back totally free of charge. This creates a strong, measurable result that increases the newsworthiness of our campaign. Getting the #GreenHeroes hashtag to take off takes a dedicated team. Having one dedicated main web landing page and a consistent hashtag is key to consistency and uptake. Unicycle Creative handled theming, video direction and obnoxious bullhorn duties, Wishpond handled the online contest strategy and integration, Wasserman & Partners took care of online media, PR was handled by Hartley PR. The concept was brainstormed by the entire team, including the London Drugs Marketing Department. Special thanks to the video team: Angela, Britta, Samantha and Shawn. 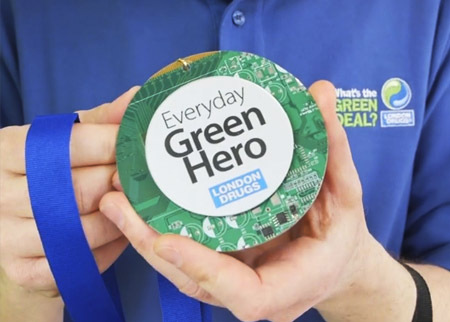 And of course, London Drugs customers, who are great sports and keep the whole Green Deal rolling with their sustainability efforts. Great reminder that everyone doing a little something adds up & does make a difference. Wow, what an impressive move! Nice! Video has a great vibe! Especially like the bullhorn. Customers seemed really surprised and very excited that recycling pays off!